SolidWorks World attendees over the past few years have probably heard rumblings about something called the CAD Monkey Dinner. This community-organized event brings together bloggers, users, employees and user group leaders to eat, drink, mingle, and take in the city’s sights and tastes before the main event gets underway. If you’re eager to spend an evening with the most passionate SolidWorks users and employees I’ve come to admire (or tolerate) over the years, this is your chance. Ever since I started meeting the friendly SolidWorks community at my first SolidWorks World in 2011, I wanted to put together an event where we could all get together to check in, catch up, and celebrate another year at SolidWorks World. Since the first event in 2012 – during which a dozen SolidWorks gurus kicked off the tradition at the Hard Rock Café in San Diego – this “little” gathering has exploded in popularity. 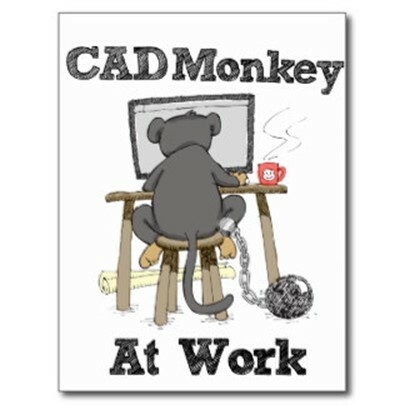 Dozens of CAD Monkeys have consistently taken over local hotspots – from Alice Cooperstown in Phoenix to the Y.O. Steakhouse in Dallas – with attendance rising every year. I’ve tried to make sure this event capture the spirit of the host city, including the best food, locations, and views each city has to offer. This year, we expect upwards of 50 people to join in on the fun. Therefore, instead of a standard sit-down dinner as we’ve done in years past, we’ll be buying out a restaurant (TBA) and hosting this as a private event. Therefore, we’ll be selling tickets and collecting contributions from attendees in advance, which will allow us to rent out a nice venue in the heart of LA, near the Convention Center. It’s very important to buy tickets as early as possible, so that we can get an idea of headcount and budget, and put down a deposit. When: Saturday, February 4th 2017 @ 7:00pm PST (exact time to be confirmed). Where: One of the many upscale restaurants in the LA Live area around the Convention Center. The exact location will depend on our budget, so buy your tickets now! Cost: $40 per person, which is about the cost of a fancy dinner in downtown LA anyway. However, the Tilt system allows you to contribute risk-free, as you’ll only be charged after we meet our $2000 goal. This admission fee will cover food, some drinks and the event venue. This event could be one of the largest community-sponsored SolidWorks events ever, and the networking opportunities are invaluable. If you’re planning to arrive in LA by Saturday night, you won’t want to miss this gathering; and if you can’t be there, please help to spread the word, we need as many contributions as we can get! See you in LA, monkeys! Previous: Sharing 3D Data with Non-CAD Users… for Free!